Induces experiences that have a regulatory effect, restores the psychophysical balance by reducing stress and organic and muscular tensions, strengthens the immune system. It helps to raise the quality of life, through the profound and lasting change of internal attitudes, given that its continued practice produces the global feeling of well-being in all areas of life. Improves the relationship with oneself and with others. 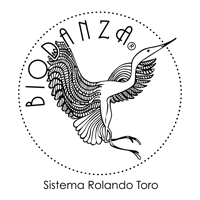 It develops the genetic potentials: vitality, affectivity, creativity, sexuality and transcendence. Optimizes the relationship with the body by providing fluidity, flexibility, power, coordination and rhythm which stimulates vitality, directly affecting physical health. Gradually dissolves tensions: stress and pain in general. It fosters the connection with the sensitivity and poetics of the human encounter. They make us feel the way in which the essential is expressed. It contributes to the development of feelings of unity with everything that surrounds us and connection with the Universe. Connects with the poetics of the word and movement. It produces harmony effects increasing the psychological balance. It integrates what we think, feel and do in the here and now. It helps to overcome tension states. It diminishes the excess of mental activity, favoring entering the plane of feeling. It facilitates the expression of emotions. It favors the connection with Life in all its fullness. Help reunion with yourself and with others. It allows to connect with enjoyment and pleasure causing a regenerative effect in the whole organism and in the conscience.